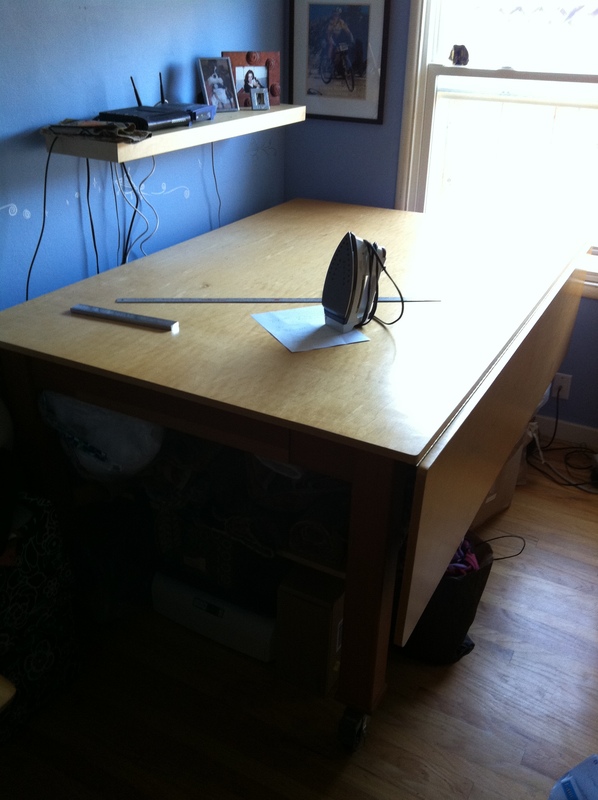 Big Quilter’s Sewing Table for SALE! Please pass this info to all you know. I really want to get a move on and make a nice sewing room with lots of shelves and storage. And get an appropriate sized table for my room! This table would be good for a arts and crafts shop, class room, sewing store, etc………..
Flaps are secured with 2 heavy duty piano hinges. Has a large storage drawer. Underneath has a full shelf for storage for bolts of fabrics, etc…………. Feet are on locking caster wheels.